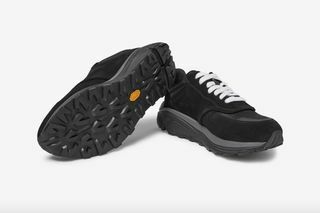 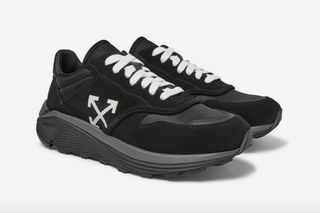 Key Features: The upper is constructed using a mesh base with suede panels on the vamp, quarter panel, toe box, and heel. 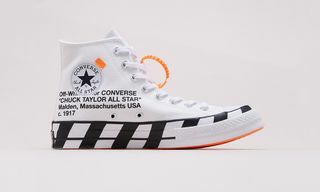 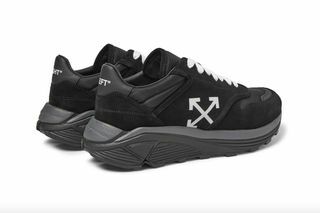 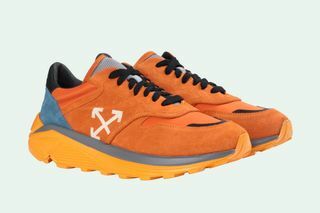 OFF-WHITE’s arrow logo is seen on the side, while the sneaker sits on a chunky, athletic-inspired Vibram midsole. 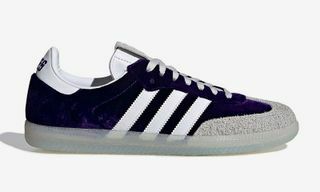 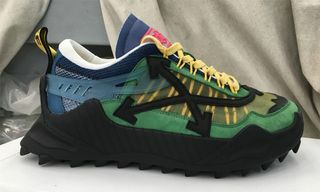 The shoe is available in three colorways. 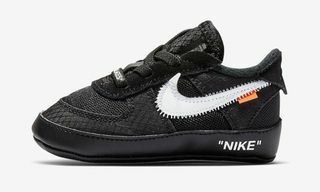 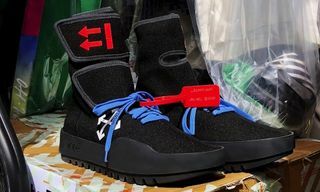 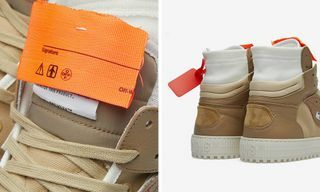 Editor’s Notes: After presenting an impressive array of footwear at Paris Fashion Week FW19, Virgil Abloh continues to crank out sneaker designs through his collaborative partnership with Nike, at Louis Vuitton, and, of course, through his own label, OFF-WHITE. 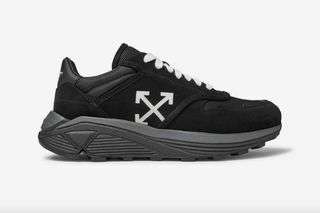 OFF-WHITE’s latest model is called the Jogger and is decidedly performance-focused. 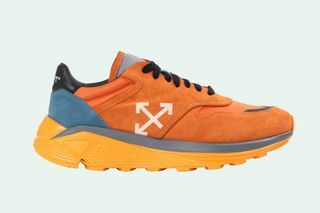 Featuring a chunky Vibram midsole that loosely resembles the one used by HOKA ONE ONE on the Challenger ATR 5, the Jogger is Abloh’s sportiest OFF-WHITE design yet. 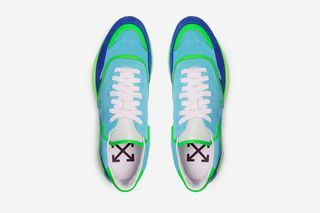 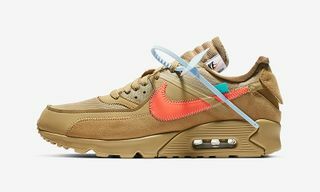 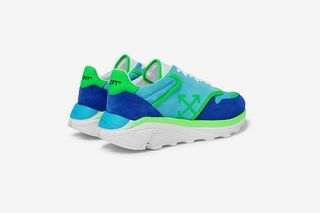 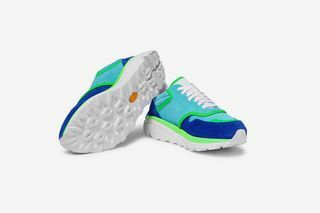 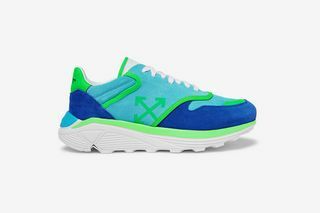 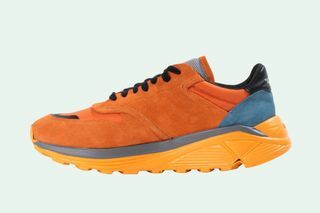 The sneaker is available in three colorways: a muted suede and shell black and white version, in bright orange, and a vivid leather-trimmed blue and green combination. 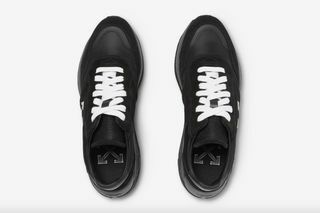 And just in case you ever get confused, on the heels you will find “LEFT” and “RIGHT” branding.